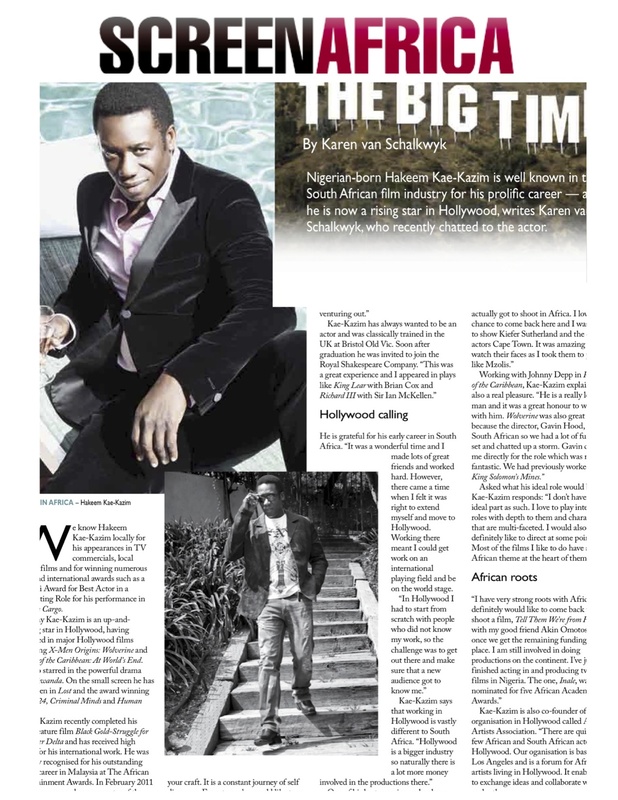 Hakeem Kae-Kazim talks to Screen Africa about is work in Hollywood, South Africa and his newest film ‘Black Gold’. 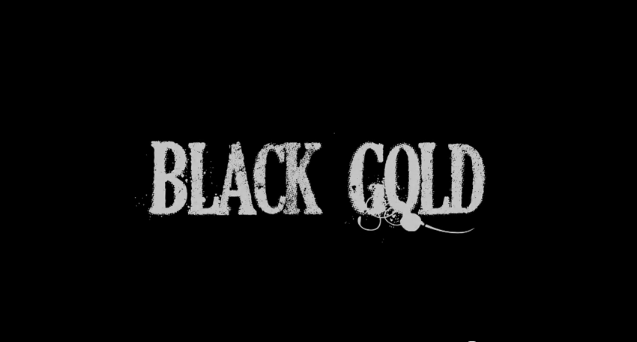 Hakeem Kae-Kazim talks to Quanda Graves about his new film ‘Black Gold’. 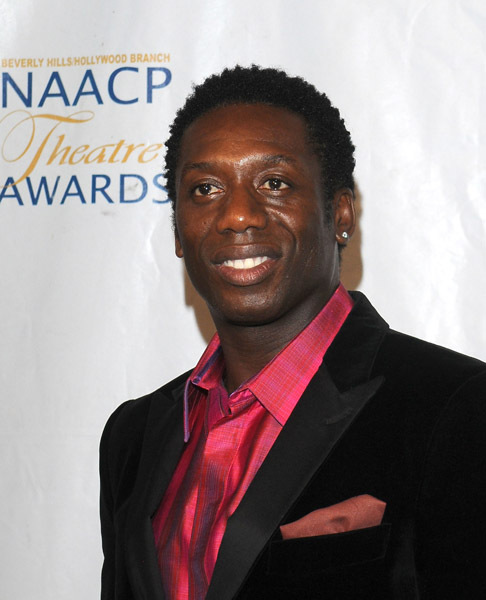 Tall, dark and handsome with the brightest smile you’ve ever seen; actor extraor- dinaire, Hakeem Kae-Kazim allowed California Crusaders Newspaper (CCN) to sit with him and talk about life, his love of acting and the characters he’s played thus far. Charming and we…lcoming he was, as we met again for the third time, for Hakeem has been a busy man. As I covered the past Pan African Film Festival (PAFF) events of opening night and night of tribute, he was there both times. First he was there to support the premiere movie “35 and Ticking” for Russ Parr, sec- ond, he attended the night of tribute as he was a presenter to Tessa Thompson for the rising star award and lastly he had a mini spoof film at PAFF showing, entitled CIS: Las Gidi. Not to mention he had recently casted roles on Criminal Minds, Navy NCIS Los Angeles and the movie, The Fourth Kind as a professor (which he shared that he enjoyed playing that character very much). Hakeem, famously known in South Africa came to the states five years ago and hit the ground running with no intentions to stop. Hakeem has been around for a very long time and has definitely mastered his craft in theatre, television, and movies and has won many awards. 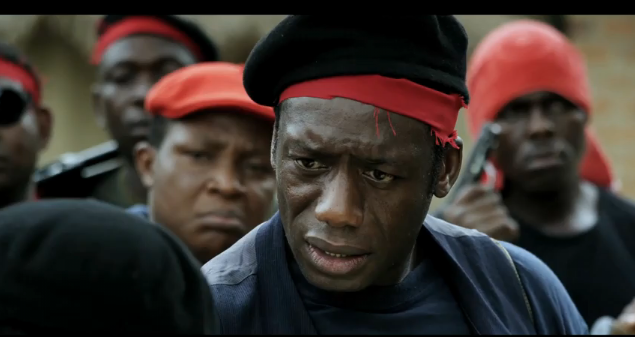 Hakeem Kae-Kazim stars in ‘Black Gold’ alongside Billy Zane and Prison Break’s Sarah Wayne Callies. 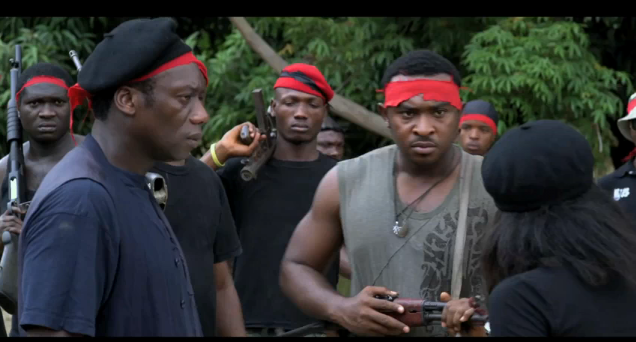 This thought provoking film was shot in Hakeem’s home land of Nigeria and is set to have it’s Los Angeles debut on December 7th. Directed by Jeta Amata.